NBA Draft 1st Pick, the Hornets Choose… Michael Jordan? Click to enlarge. That’s a real mind-effer, right? I put my masterful bitmap paint skills to use once again to create a Michael Jordan and Anthony Davis mash-up masterpiece. I took one of the most famous posters ever, and combined it with one these Anthony Davis Wings-esque posters you can buy on eBay. Here they are lined up below. You get the idea. 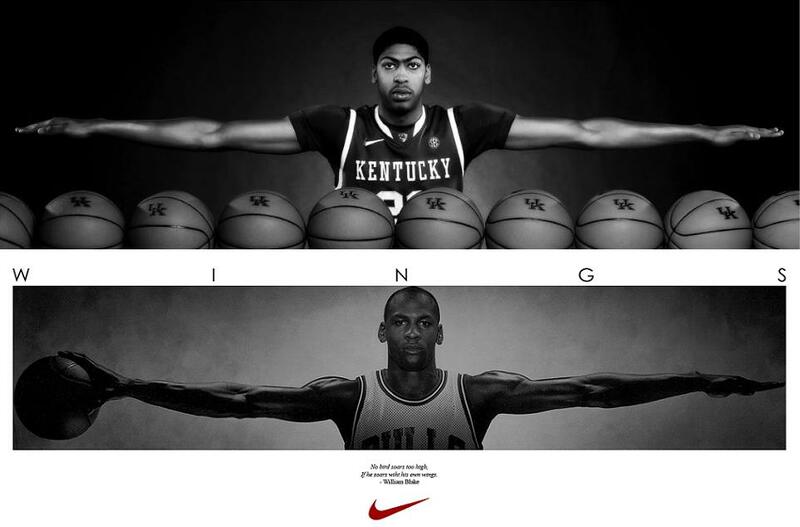 Anthony Davis, Michael Jordan. Michael Jordan, Anthony Davis. No pressure, kid. Have fun in the Big Easy. This entry was posted in Basketball, NBA, NCAABB and tagged anthony davis, anthony davis michael jordan, anthony davis poster, anthony davis wings, Michael Jordan, michael jordan wings. Bookmark the permalink.